The more I look at the upcoming spring fashion campaigns the more I see old trends coming back in style. 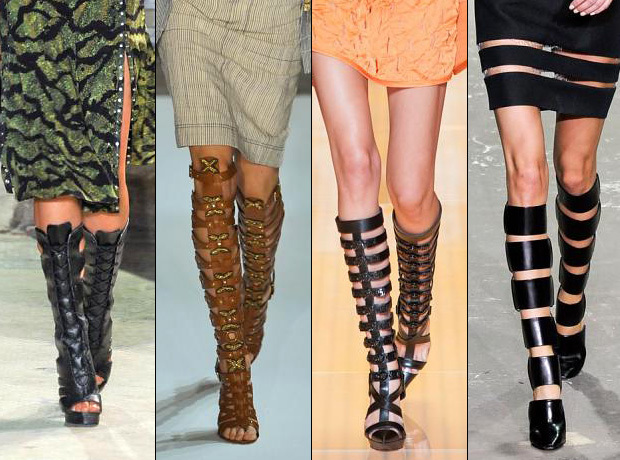 One of them being the gladiator shoes. I remember I bought a pair back in my early 20’s, then another pair a few years ago and now they’re back on the scene. 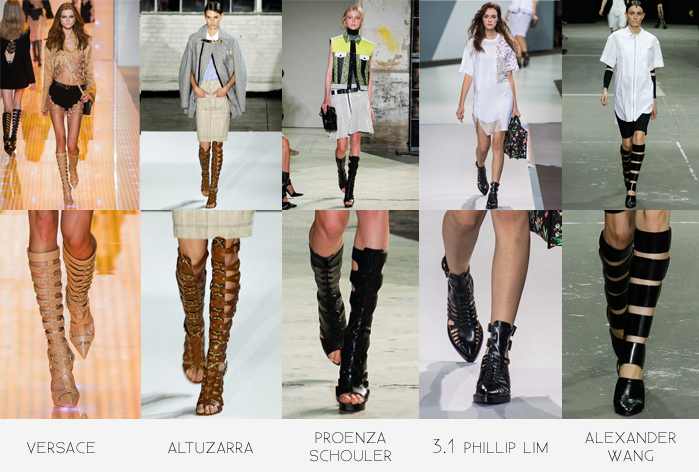 Designers such as Versace, Altuzarra and Alexander Wang had them on their SS13 runway catwalks during New York Fashion Week. Even last night on BET’s ‘Rip the Runway’, gladiators walked the catwalk. So tell me, are you with this trend? I think if paired the right way these could be kinda hot on. AAAAAAAACK! YES YES YES!!! WANT WANT WANT!! Time to shop!